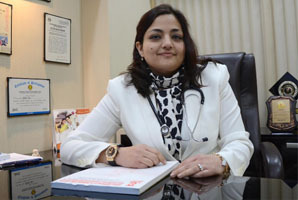 Dr. Sumita Sofat IVF super speciality doctor in sofat hospital is known for innovation, integrity, medical & technical expertise, personalized attention in every stage of treatment and based on the moto of consistent willingness to accept patients facing most troublesome medical conditions she is IVF Specialist. We strive for the highest possible success rates in Punjab so that most of our patients should conceive. Tight quality control, advanced reproductive technology, state of the art IVF/ICSI/TESA lab with Assisted Laser Hatching technique and well-trained team of doctors Ludhiana, embryologists and scientists allow us to have higher IVF/ICSI success rates at par with international standards in India. We are available sofat clinic Ludhiana to support our patients in the process of IVF and give psychological support to handle stress and anxiety associated. IVF Treatment centre in India. She is considered as a trend setter for the many new specialists clinic in Ludhiana with all the latest equipments to deliver the best quality and better results of IVF in India, best and latest technologies such as vitrification of eggs and Endometrial Receptive Assay (ERA). Her centre is behind none in terms of treatment. With advanced medical equipments and instruments combined with technical knowledge and well trained gynaecologist in Punjab for IVF. we are able to achieve best possible outcome in Ludhiana as a IVF Centre. We follow all guidelines set up by ICMR. Each patient is given a detailed summary of all the procedures in the form of CD. Dr. Sumita Sofat is a renowned Gynecologist and fertility specialist who has been in the field of fertility since past 18 years. She is the “Scientific Director” of Sofat Infertility and Women Care Centre and is “Managing Director” of Sofat Diagnostics and Cancer Detection Centre in Ludhiana. She is head of fertility specialist team in Sidharth hospital. 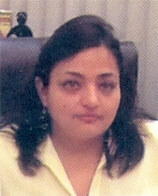 She is one of the pioneers in the field of ICSI & IVF specialist in Punjab. She was the first Specialist doctor in Punjab to start dedicated infertility hospital. Her career began with graduation from prestigious Govt. Medical College, Patiala and her post graduation in Gynecology from DMC&H Ludhiana. She has to her credit of delivering thousands of test tube and ICSI babies. She has pioneered new techniques in the field of infertility and encouraged the development and training of specialists in the field of fertility. She has conducted various national and international conferences and hands on training workshops in infertility. 1. VISHIST CHIKISTAK AWARD by SRI SWARNA RAM, former technical education minister. 2. She was awarded excellence award in quality innovation and management by- VS RAMADEVI JEE, former GOVERNOR of HIMCAHAL PRADESH. 3. Awarded YOUNG SCIENTIST AWARD IN ROME (ITALY) by WORLD ASSOCIATION OF REPRODUCTIVE MEDICINE. 4. Awarded for her work in infertility by the PRESIDENT OF INDIAN ACADEMY OF HUMAN REPRODUCTION. 5. Felicitated by the former HEALTH AND FAMILY WELFARE MINISTER OF PUNJAB SRI SATPAL GOSAIN for her excellence in infertility and organizing “NORTH INDIA’S BIGGEST BABY SHOW”. 6. Felicitated by the former MLA OF SANGRUR, Mr. PARAMJIT SINGH SIBIA for organizing a CME and training program for specialists doctors in SANGRUR. 7. She was felicitated by MANAV SEWA SOCIETY IN MALERKOTLA for organizing free checkup camp for under privileged people. 8. She was awarded by WOMEN’S HEALTH DIVISION OF JOHNSON & JOHNSON for putting “FIRST UTERINE BALLON THERAPY” (non-invasive Gynecological procedure) in Punjab. 9. Felicitated by GURUDWARA SRI SOMASAR SAHIB in SAHNEWAL for organizing free infertility and medical checking camp. 10. Awarded by BABA SRI LAKHA SINGH JI for examining more than 500 patients at GURUDWARA SRI NANAK SAR SAHIB KALARIAN. 11. Felicitated by SANT BABA DALER SINGH JI KHALSA KHERI SAHEB SANGRUR for her work in infertility and serving poor infertile couples. These awards show the many facets who is more than just a reputed specialist doctor and an academic and social worker. 1. 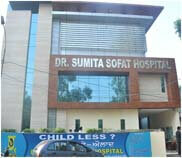 Dr. Sumita Sofat is very active in serving community and in process is touching the lives of many infertile couples. 2. Member of European Society of Reproductive Medicine. 3. Member of Federation of Obstetrics and Gynecological Society In India (FOGSI). 4. Member of Indian Society of Assisted Reproduction. 5. Member of State Coordinator of Indian Academy of Human Reproduction (IAHR). 6. Member of Indian Medical Association (IMA). 7. Member of Indian Fertility Society India (IFS). 8. Executive member of Academy of Clinical Embryologist in India (ACE). 1. Presented paper in American Society of Reproduction Medicine in SAN ANTONIO,USA in 2003. 2.She presented paper in AMERICAN SOCIETY OF REPRODUCTIVE MEDICINE in PHILDELPHIA IN 2004..
3. Presented paper in ROME (ITALY) in World Association of Reproductive Medicine (WARM) in 2004..
4. Attended conference organized by EUROPEAN SOCIETY OF REPRODUCTIVE MEDICINE, in ISTANBUL (Turkey) in 2012. – Participated in Symposium held in Jalandhar in December 1999 on practical management of infertility. – 6th ISAR Congress on Assisted Reproduction Technology and advances in infertility management in February 2000 in New Delhi. – Faculty in Pre Congress Workshop on Embryology / ART in 2000 in Goa. – Faculty in workshop on Ultrasound and color Doppler in 2002 in Cochin. – Delegate in All India Congress on clinical Gynecology in Kerala in 2002. – Participated as “delegate in the Congress” and workshop on practical approach to therapy of infertile couple in MAMBAI in 2003. – Presented papers on 6th National Congress on Assisted Reproduction Technology (ART) and advances in infertility management in Indore in February 2003. – Participated in the scientific deliberations as faculty of 10th National Congress on Assisted Reproductive Technology and advances in infertility management in Jodhpur in February 2004. – She was invited as expert in Images 2005 vision and skill conference organized by FOGSI & Mumbai Gynecological Society in Mumbai in 2005. – She was invited speaker in World Congress on Fallopian Tubes in Kolkata in 2007. – Participated as faulty and conducted training course in pre congress workshop and 3rd World Conference on Practical Infertility Management and Human Reproduction in Mumbai in 2008. – She was faculty in Academy of Embryology in New Delhi in 2012. – She participated as faculty in 17th annual National Conference of Indian Society for Assisted Reproduction in Raipur in 2012. – She has contributed numerous articles on infertility in many national newspaper and magazines. – She has contributed chapter of local support in infertility in a foreign uthor book.